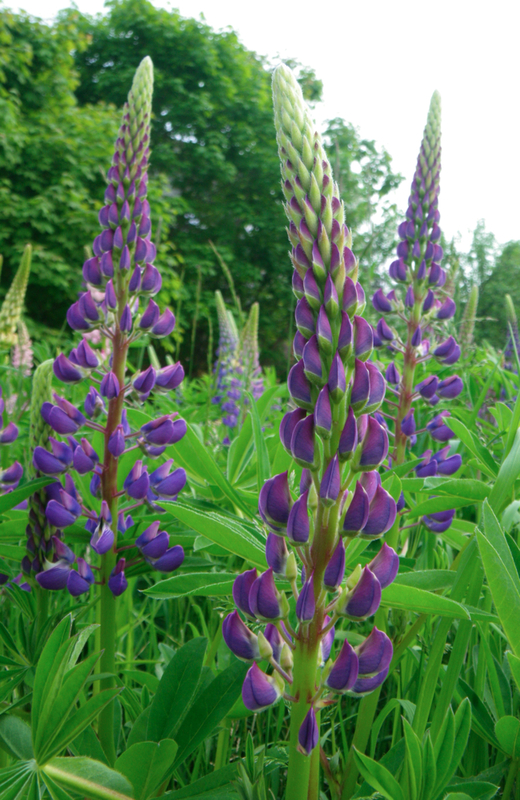 In a cold rainy spring, the lupine have opened up to bring some well needed color to contrast the gray days. Those are so beautiful! Don’t tell me those grow wild there or I’ll really be jealous. Lobster every night, gorgeous flowers…what else do you have to spoil yourself with, lady?!! Glad you’re posting again; I’ve missed you. 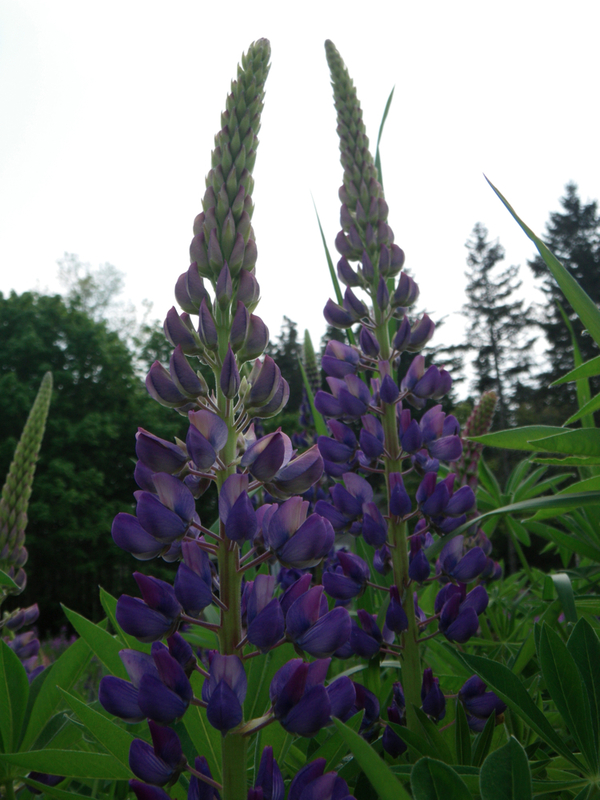 Don and Charlotte say our lupines are incredible. Chris is going out tomorrow(to cure a water leak problem!) 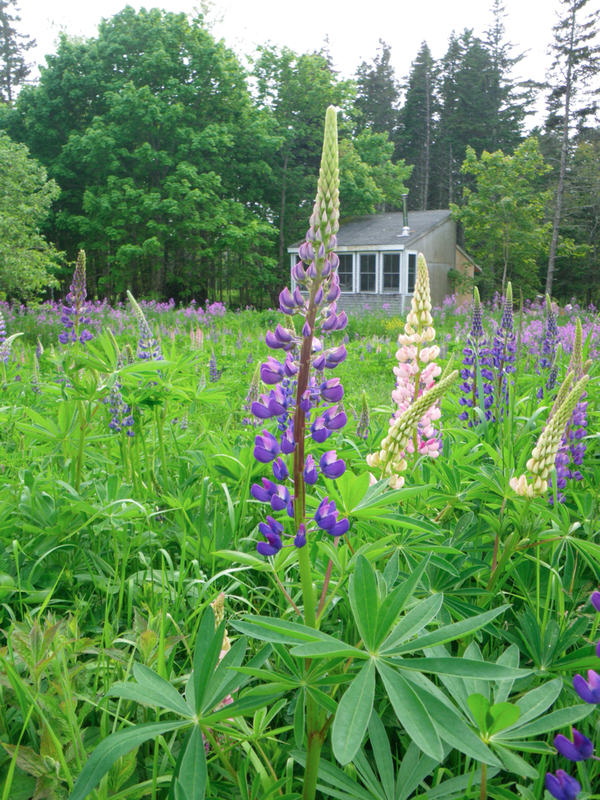 and is under orders to take pics of the lupines and other stuff Don planted.Your pics are fantastic! He should still get to see some. Sorry to hear about your leak. Aren’t you traveling soon? Oh so pretty! 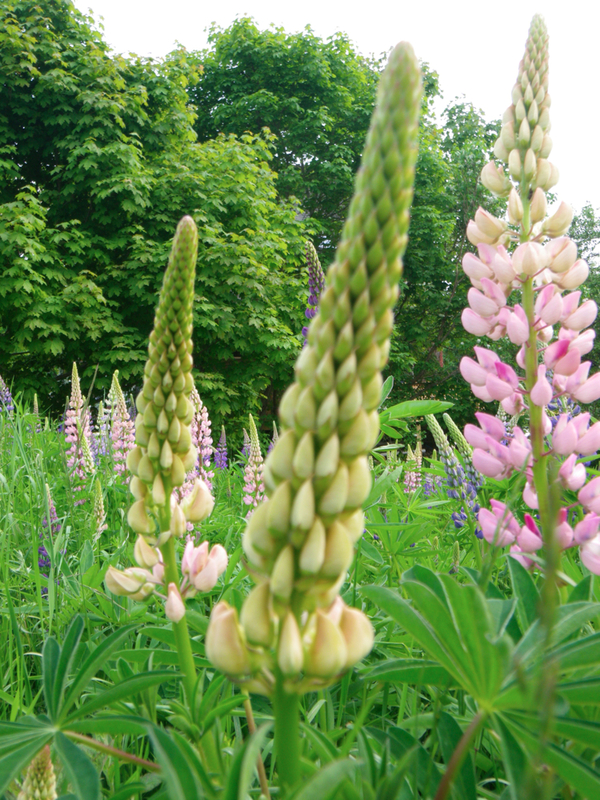 I love lupines! Is that your studio in the background? This has been the worst spring/summer I can remember. I am glad the flowers seem to like it. I had to turn the heat on today! I wish it were my studio in the background! but it belongs to Henry Isaacs, a painter. He has the best lupine field. There seem to be more pink ones this year. Yeah, what is up with this spring? The mosquitos will be fierce I fear. And I had to turn on the heat too. Blech! Beautiful.!! Have tried to grow them in my garden, but as with foxgloves they just do not want to live in my garden! However my Lavender is blooming this year & I am off out today to buy some gauze to make little lavender bags for all our pillows. Definitely helps us all have a more restful sleeep! hey Lynn, I’ll have to try that with my lavender. Though, I have trouble getting it to go through the winter. I hope you have a great summer too! Yes, my lavender took a big hit this winter, had to really hack into it in places to get rid of the dead wood. But… the bits that survived are flourishing! You really should try the lavender bags, they really do work. Especially on hot summer nights when it’s difficult to sleep. Lynn, I’ll have to try the lavender bags. I like the smell a lot! i’ve always wanted to be the lupine lady who travels the world and then comes back to settle herself into a cottage on the shore, wandering here and there sprinkling lupine seeds (do you know that children’s book?)…. i wonder when the waterloo girls are arriving…. Miss Rumphius! I do know the book. She must have gone up and down rte 95 too, because they were all in bloom as we drove to Connecticut last weekend. Marly and Angie arrive on Friday. I’m meeting them in N.E. Harbor at 2 so we can take the 2:30 boat. It makes me sad to even tell you this because we want you here with us so much! me too. i’m trying hard to be a grown-up rather than a baby, so i really would like to hear about your lovely adventures…and i’d love a picture of the 3 of you somewhere islesford-ish, also, if you don’t mind…. Do you Skype? We could do even better than photos! But we’ll take some shots at the beach (in the rain) and see if we can photoshop you in! I know you’ll be here sometime….many times! i have REALLY missed your posts barb…. Wow Mary. Thanks. Who knew? It sure is a busy time to get everything ready for summer. Congrats on selling that necklace before Alone Moose was even open! I hope we both have a really great summer that will be almost impossible to keep up with all of the sales!